project create something: 5 on friday - chocolate edition! 5 on friday - chocolate edition! 1. The idea of baking in my slow cooker is a little scary. 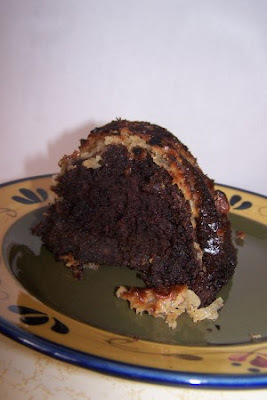 But for this recipe for peanut butter cup cake, I might be willing to try it! 2. Almond Butter Cookies - I love the combination of peanut butter and chocolate. But almond butter and chocolate sounds like a delectable grown up version! 3. 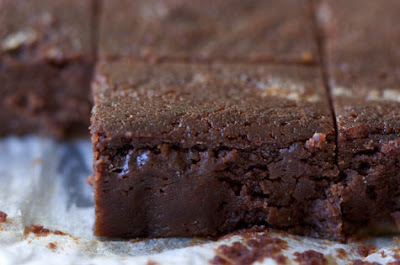 I won't reveal the secret ingredient in these brownies. You have to click the link to find out. 4. And who doesn't like a surprise in the middle of a cupcake! This one has a cream cheese chocolate chip center. 6. 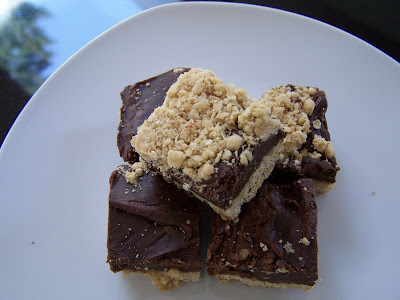 These are a remake of the Starbucks Oatmeal Fudge Bars. I've never tried them, but they look divine! 7. Something about chocolate being just slightly melted makes it SO much yummier! Nothing like warm chocolate chip cookies or slightly melted M&Ms that have been sitting in the car (um, yeah, I'm probably the only weirdo there). 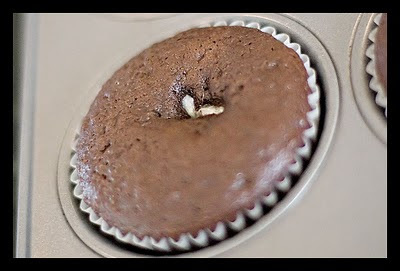 These Molten Cakes take advantage of that yumminess! 8. 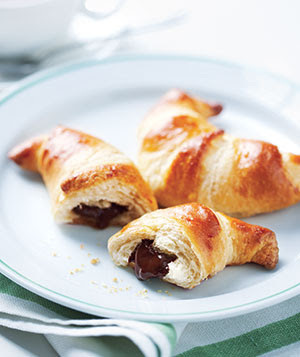 And the easiest chocolate treat recipe goes to Real Simple. I've made these often and they do not dissapoint. If you use the reduced fat rolls and just a few chocolate chips, they aren't even that bad for you! And don't forget to head to Starbucks for a half price mocha frapp this afternoon!